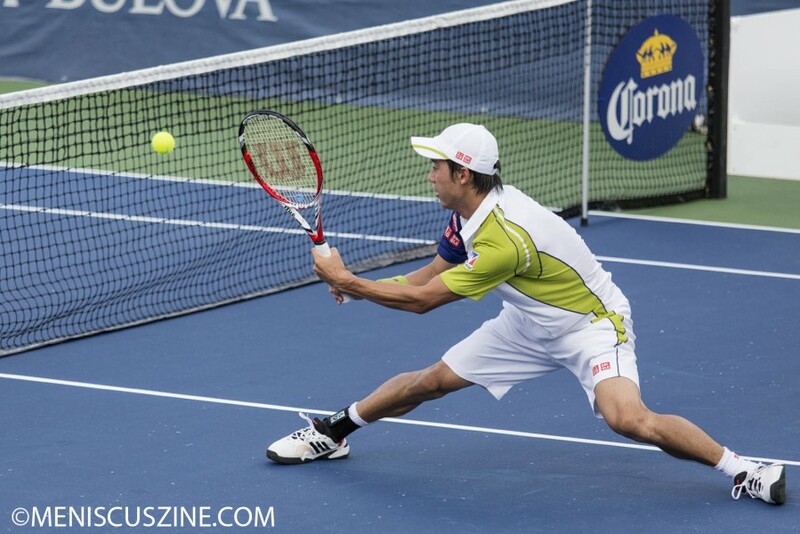 The North American hardcourt season means that it is time for players to ditch the all-white ensembles of Wimbledon in favor of less restrictive, more creative tennis apparel. One Japanese clothing company that has jumped on that growing bandwagon is UNIQLO, which has made huge risks during the past few years to try to combat sagging domestic sales. 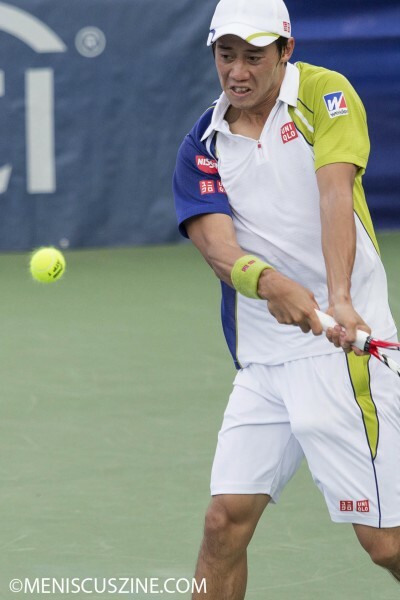 Its aggressive overseas expansion included a foray into unchartered territory, naming three tennis players as its very first endorsers for sportswear that had previously not been a part of the company’s portfolio. 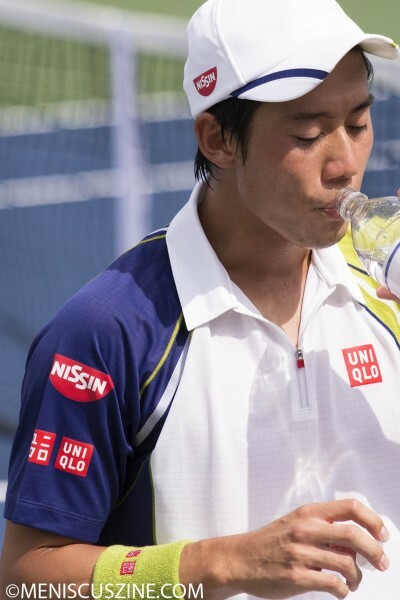 Those spokesmen were Shingo Kunieda, then the No.1-ranked men’s wheelchair player in the world; Novak Djokovic, who became a global ambassador for UNIQLO during the 2012 French Open; and Kei Nishikori, Japan’s highest-ranked male singles player ever. 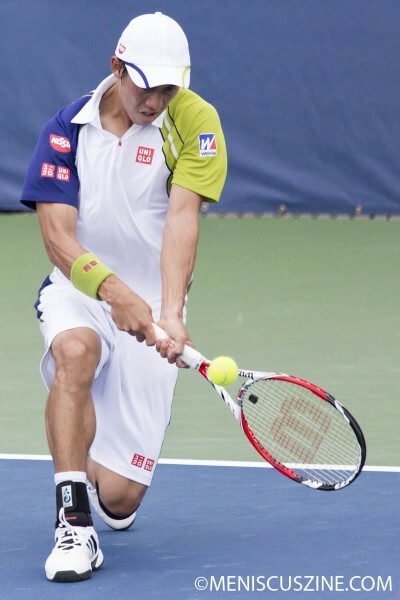 Nishikori, like Djokovic, signed a five-year endorsement contract with UNIQLO last year and paved the way for other athletes to join as global and local ambassadors, including golfer and 2013 Masters champion Adam Scott, and earlier this year in Hong Kong, 2012 Olympic bronze medal cyclist Lee Wai Sze and retired cyclist Wong Kam-po. 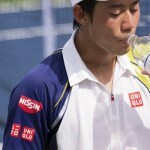 Since donning the distinct red-and-white UNIQLO logos, Nishikori has won two more tournaments (Tokyo and Memphis), and has attained a career-best No. 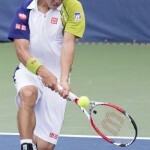 11 ranking. Currently, Djokovic’s last six Grand Slam outfits can be purchased on the UK UNIQLO site so it is likely a matter of time before Nishikori’s attire hits the shelves as well. 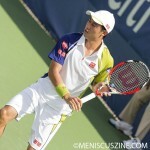 During a post-match press conference, Nishikori wore a long-sleeved track jacket that matched the color scheme of his on-court shirt. 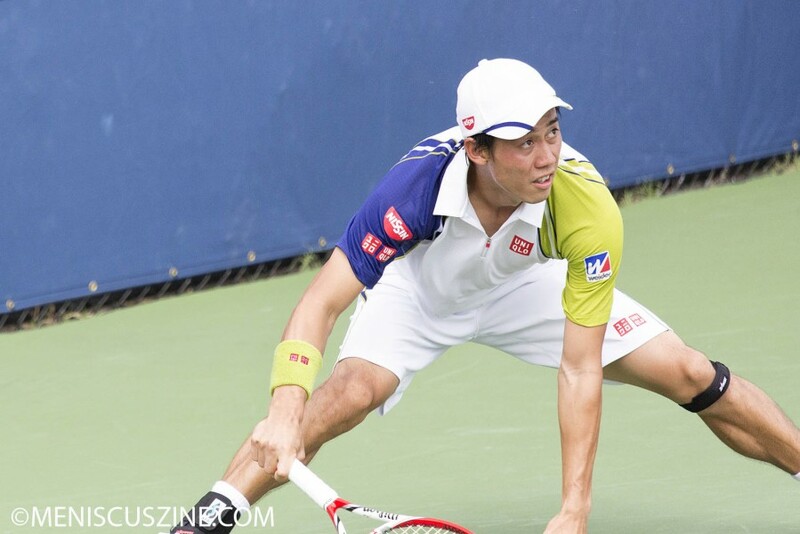 Additional photos: Kei Nishikori, 2013 Citi Open, Washington, D.C.